Workers prepare to move track at the Union Pacific Railroad crossing at Broadway on Thursday. The crossing will be closed through Sunday. The crossing at Okmulgee Avenue will be closed Saturday and Sunday. 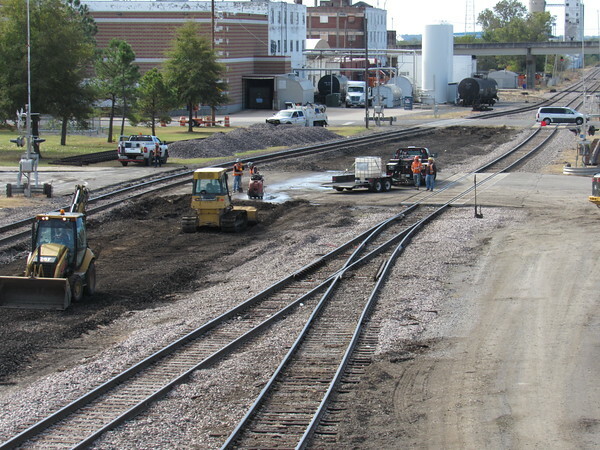 Union Pacific is straightening the tracks to improve train speed through downtown Muskogee.